Polymer adapter adds an ambidextrous mounting point for a pushbutton QD sling at the back of the receiver on collapsible-stock rifles. Low profile design won't interfere with working the charging handle. 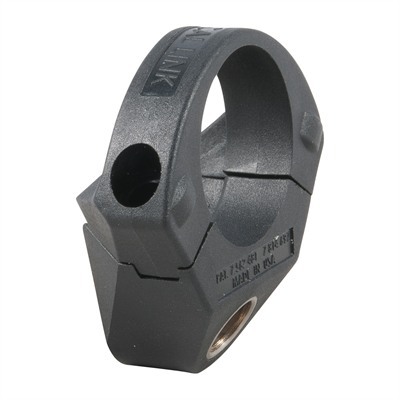 Interlocking clamps offer secure fit on all buffer tubes - commercial, mil-spec, or out-of-spec. Stainless steel threads and swivel connection add strength. Designed to fit all known collapsible-stock models of the AR-15/M16/M4 rifles, including HK416. Mfg: Tactical Link SPECS: Reinforced, 350-lb. test polymer, Black or Dark Earth. 2" (5cm) high x 2" wide. 1.3 oz. (35g) wt.